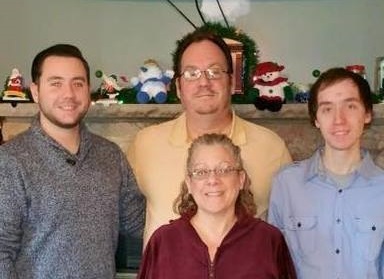 Donna M. Ryan was born on May 1, 1964. Secretary at Franklin Body And Bear Inc.
Donna Ryan Stevens is online at https://www.facebook.com/donna.r.stevens.3. 1880 United States. Census Office. 10th census, 1880 federal population census, Washington, District of Columbia: National Archives and Records Service, ([19--]) , FHL Film 1254766; National Archives Film T9-0766; Page 256B. COLBY FAMILY & OTHERS at http://freepages.genealogy.rootsweb.com/~colby/colbyfam, citing FHL Number 1001297; RYDER, George H. Age: 33 years, Marriage: Grace V. COLBY Age: 21 years, Date: 02 Sep 1884; Recorded in: Birth and Marriage Index for New Hampshire. Mary Ryder was born perhaps about 1607. 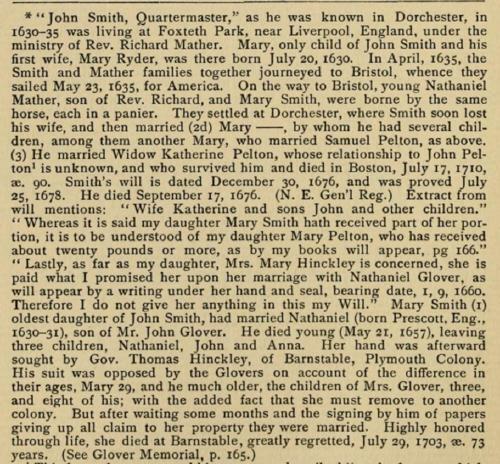 Anna Glover, Glover Memorials and Genealogies: An Account of John Glover of Dorchester, and His Descendants., , at https://books.google.com/books?id=ygeSH-4i9VAC . Boston: David Clapp & Son, (1867) , p. 163. "United States Public Records, 1970-2009," database, FamilySearch (https://familysearch.org/ark:/61903/1:1:K5YV-D16 : 22 May 2014), E Barkdull, Residence, Orem, Utah, United States; a third party aggregator of publicly available information. Minette Rytting was stillborn perhaps about 1955. "United States Public Records, 1970-2009," database, FamilySearch (https://familysearch.org/ark:/61903/1:1:KRMW-2F1 : 22 May 2014), R Rytting, Residence, Salt Lake Cty, Utah, United States; a third party aggregator of publicly available information. Ralph Dean Rytting was born perhaps about 1918. Find A Grave Memorial# 142168067. 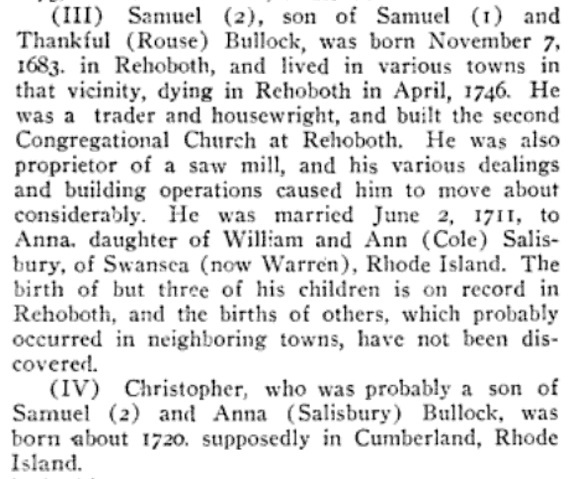 James N. Arnold, Vital record of Rehoboth, 1642-1896 : marriages, intentions, births, deaths, Providence, R. I.: Narraganset Historical Publishing Company, (1897) , p. 434. William Richard Cutter, New England Families, Genealogical and Memorial: A Record of the Achievements of Her People in the Making of Commonwealths and the Founding of a Nation, Lewis historical publishing company, (1914) , Vol. 3, p. 1567. 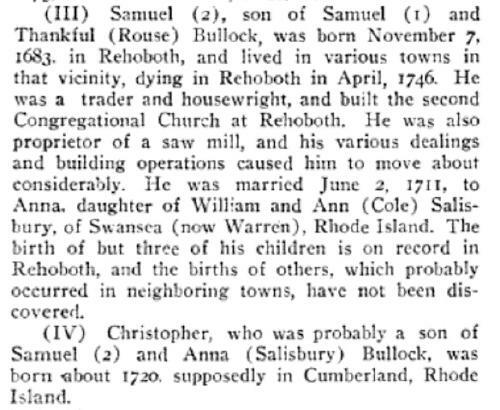 "Massachusetts Births and Christenings, 1639-1915," database, FamilySearch (https://familysearch.org/ark:/61903/1:1:FZD8-CFX : 4 December 2014), Daniel Salsbury, 26 Nov 1714; citing SWANSEA,BRISTOL,MASSACHUSETTS, ; FHL microfilm 0022366 IT 3. Elizabeth Salisbury was born perhaps about 1652. 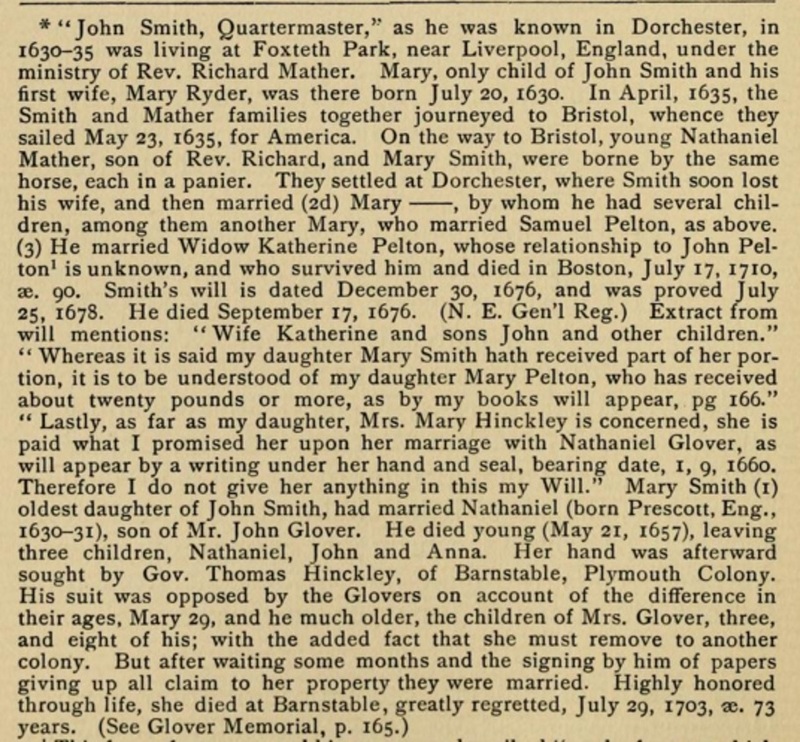 "Massachusetts Births and Christenings, 1639-1915," database, FamilySearch (https://familysearch.org/ark:/61903/1:1:FZD8-BBC : 4 December 2014), Ephram Salsbery, 04 Sep 1708; citing SWANSEA,BRISTOL,MASSACHUSETTS, ; FHL microfilm 0022366 IT 3.